Proceeds from every shirt sold support the life-changing work of Girls, Not Brides which is a global partnership of more than 900 organizations from over 95 countries committed to ending child marriage and enabling girls to fulfill their potential. Shipping starts on May 9. Available until April 23. 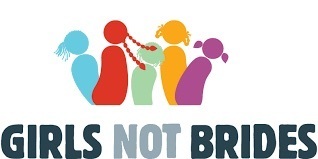 CHILD MARRIAGE IS ANY FORMAL MARRIAGE OR INFORMAL UNION WHERE ONE OR BOTH OF THE PARTIES ARE UNDER 18 YEARS OF AGE. THAT IS 23 GIRLS EVERY MINUTE. NEARLY 1 EVERY 2 SECONDS. Shethority Apparel Design © 2019 Represent Holdings, LLC. All rights reserved. This design, including all phrases, art, photography, and graphics, may not be sold, reproduced, displayed, modified or distributed without the express prior written permission of the copyright holder. NOTICE: Represent Holdings, LLC asserts its rights against the producers and distributors of infringing reproductions.